Reassembled and ready, Solar Impulse 2 stands ready to leave Abu Dhabi on an historic around-the-world flight within the next month, according to the project’s latest announcements. When HB-SIB leaves Abu Dhabi, it will cross two oceans and four continents before returning to its departure point. The trip will include landings in 12 locations and a total distance of 35,000 kilometers (21,700 miles) – all without using a drop of fuel. Its route and schedule will be affected by weather, and since the airplane will fly at only 27 miles per hour at night to conserve battery energy, by prevailing winds. Normal flight speeds will range from 50 to 100 kilometers per hour (31 to 62 mph). 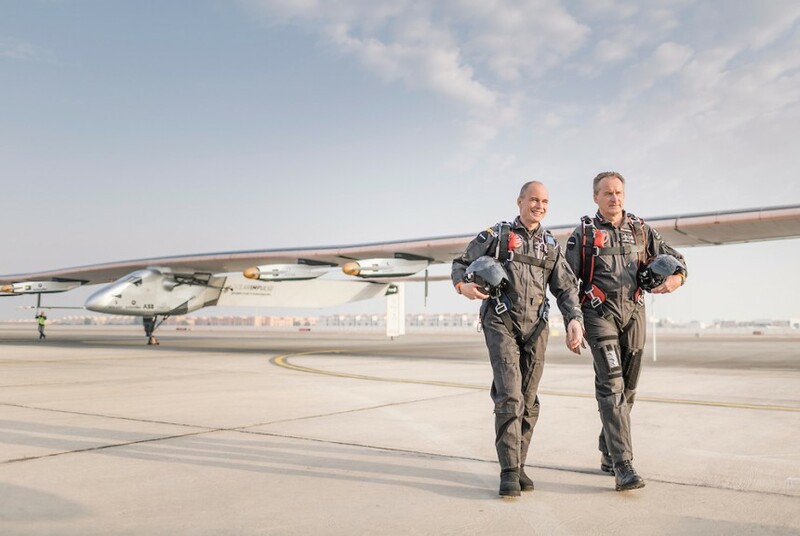 Solar Impulse 2 and its crew of 80 technicians, engineers and a communications team will not only prepare the big craft for its epic voyage, but meet with students, engineers, and government officials to help them understand the significance of the technology and the adventure. We will be able to follow the minute-by-minute progress of the trip, and “During stopovers, the Solar Impulse team will organize meetings, airplane visits and Google Hangouts On Air in order to promote the mission’s message and highlight innovative technical solutions to climate change.” In these efforts, Solar Impulse may help to sway those not yet involved with a clean energy future. Certainly, the silent wings passing overhead have the power to awe observers, and will trace a line of millions of new believers along its course.